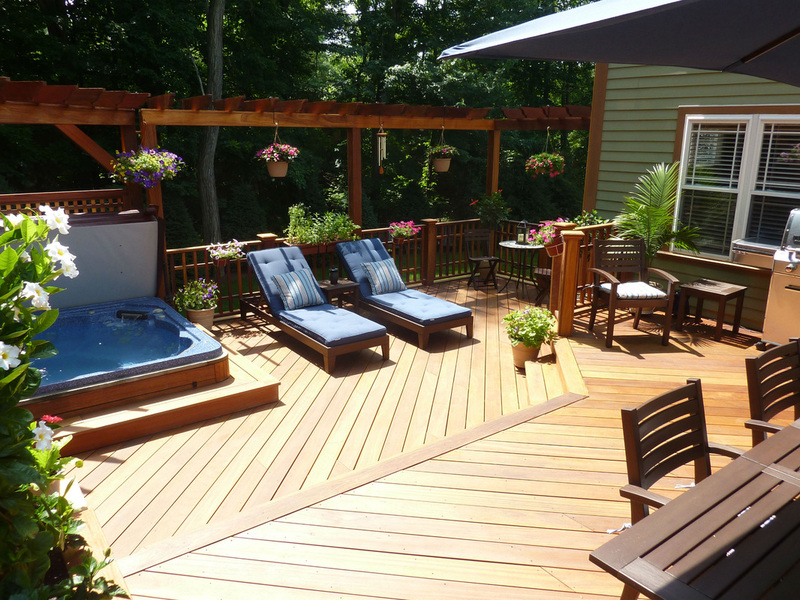 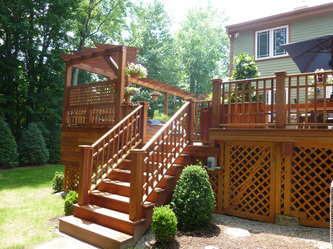 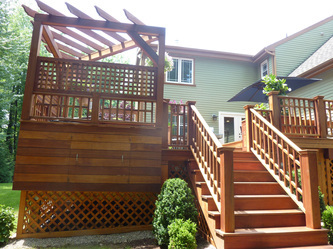 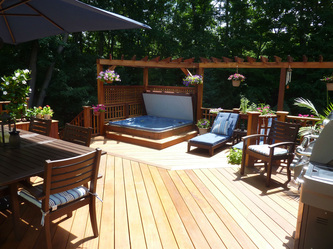 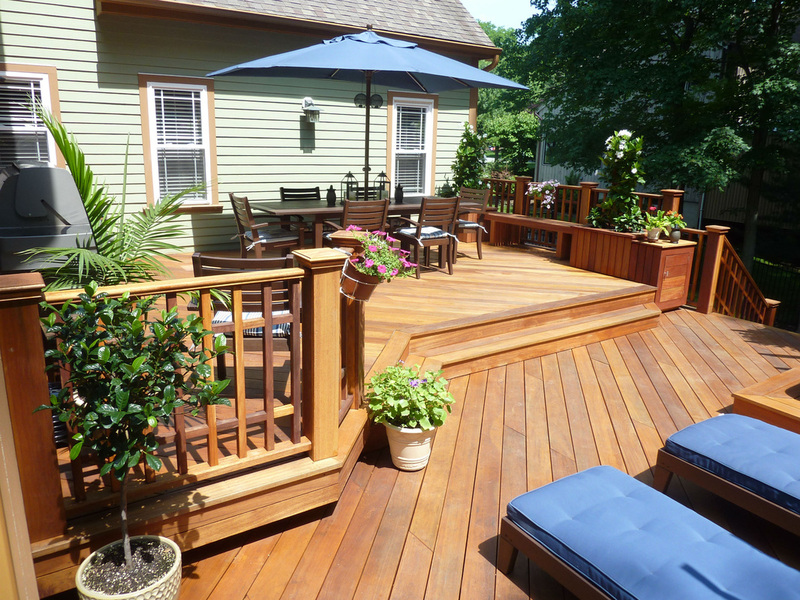 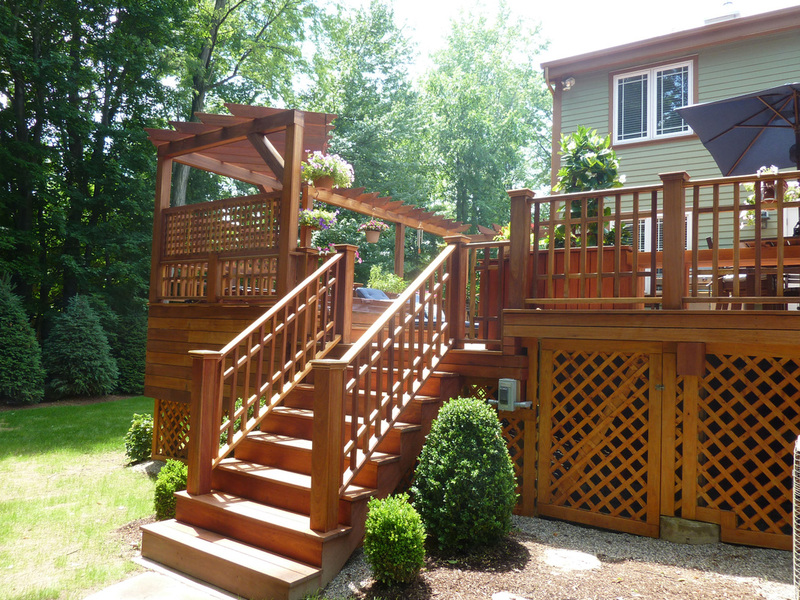 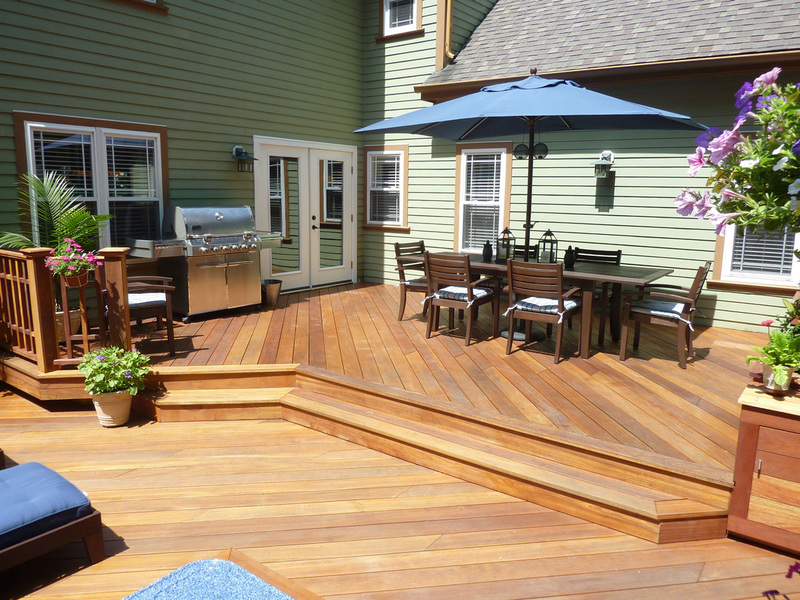 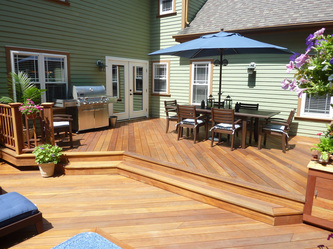 This deck was designed and built by Roseland Construction. The decking and railings are all made from merante (very similar to mahogany). The focus of the deck is the hottub which contains a privacy wall and a custom made pergola. 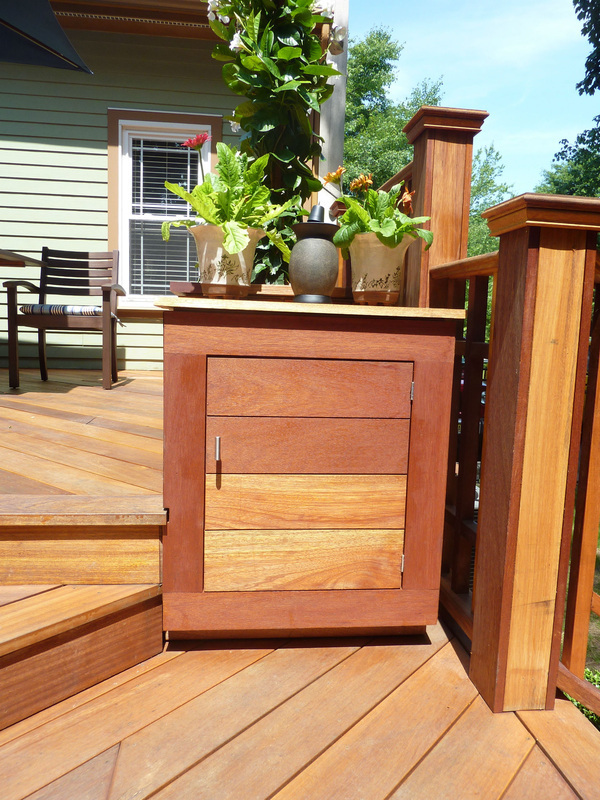 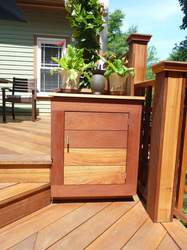 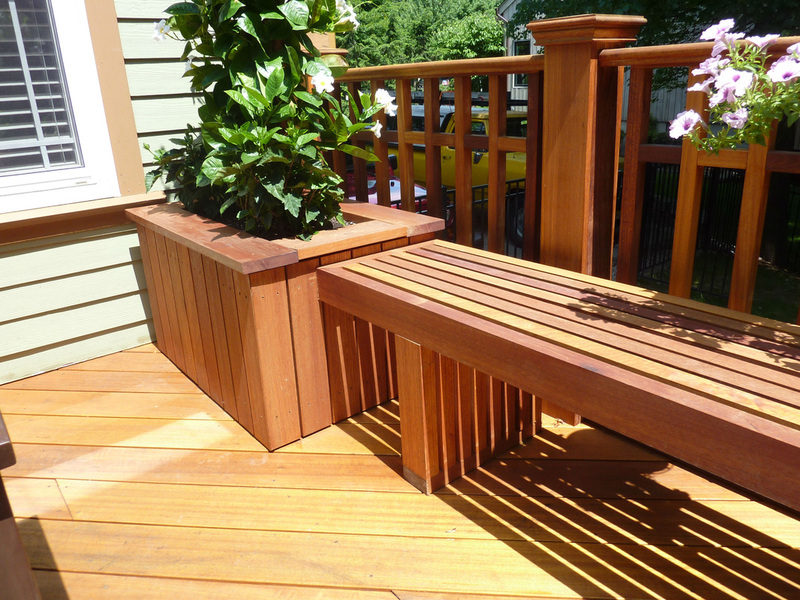 The deck includes custom planters, bench and storage cabinet.